The tires of the Mustang squeal as the car drifts around a corner. Our hero is holding onto the steering wheel for dear life as he attempts to get away from the evil bad guy. The suspense continues to build in the audience as they hold their breath. Will he get away? Will he crash? 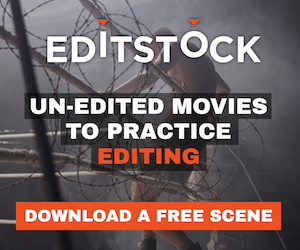 This weeks Edit Decision List covers the top five car chase scenes based on editing. The original Italian Job takes our 5th spot. Not that it’s badly cut but that it has more humour in it with wide shots of the cars driving on roofs and cut aways to shots of someone stealing bread and that there is no definite bad guy chasing the three Mini’s, they are chased by a large group of police cars. This affects the back and forth engagement that we usually get between the people involved in the chase. A difficult thing that was handled beautifully was the use of the three Mini’s and the set up for crashes. The audience would watch as the three Mini’s pass one after another and then watch as the police would screech by on their way to a collision. 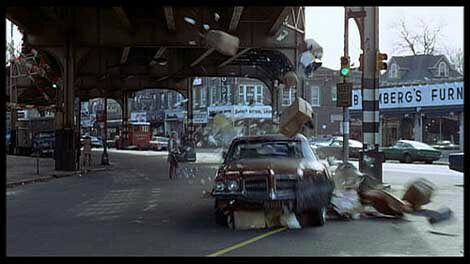 The Bourne Identity chase sequence relies a lot on music for it’s emotional cues to the audience. One thing that helps build tension is that Bourne must fix his wounds as well as drive. This adds a new dimension to the parallel action that the editor must deal with. 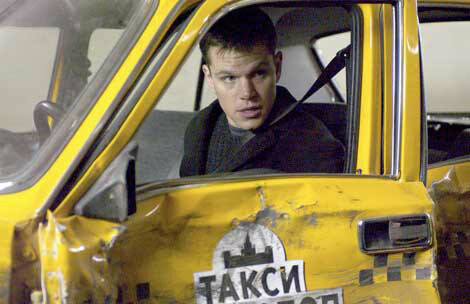 The editor’s use of close ups to help build a claustrophobic atmosphere inside of Bourne’s tiny taxi helps to build the tension for this scene. He also uses the perspective from inside the Taxi during all crashes instead of the standard exterior shot one would expect. Once we’ve survived the crash with Bourne we cut to the exterior for a shot of the wreckage that was caused resulting in a feeling of chaos. The next three are brilliant when it comes to use of geography. Ronin uses the European streets and buildings as markers to help keep the audience oriented. When one car passes a building we are cued to how far the other car is away by how long the editor waits to show the other car passing. Since it’s an extremely high-speed chase it’s usually not that far. The tight space in the streets and alleys also give us a moment of suspense as the cars just narrowly miss buildings, people and other cars. A P.O.V. shot from the tires helps build a sense of speed and I got a good laugh when they cut to a wide shot and we see all the innocent bystanders shaking their fists at the cars. What is important though is the use of sound. Music doesn’t come in until 2 minutes left in the scene. The roar of the engines, shifting of gears and squeals from the tires combined with the cutting techniques are what give this scene its tense feel. This is a classic. In fact it’s the scene that set the standards for the others to follow. We start with one car tracking the other with music playing gently in the back. The music cuts out with the cut to a spinning tire. From that point on it’s all engine noise. The use of close ups to help build the tension is brilliant. Just before the chase starts we see two quick cuts one of a seat belt fastened and a close up of our main character. Then off they go! Geography is used to keep people clued into where everyone is and of course there’s the famous green punch buggy, which everyone seems to pass. But even small continuity mistakes aren’t noticeable because we’re sucked into the action. Parallel cutting between the two drivers keeps us engaged and once we hit the open road the scene takes an even more intense feel as the villan’s passenger begins to fire his shotgun at our hero. To help give the sense of speed some shots are sped up slightly but for the most part this is not too noticeable. 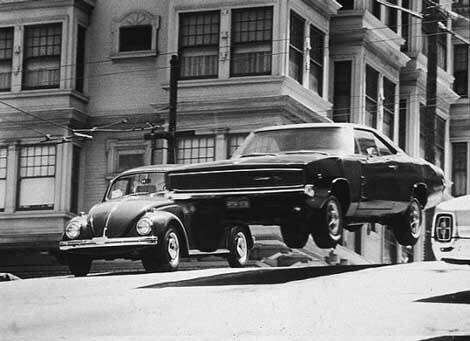 Another chase with no music, I guess what I am trying to say is the best scenes do it with no music. They engage us with the cutting not with the music’s emotional cues. In this one our protagonist is chasing a subway. The close ups of his face engages us with his struggle to catch the subway. The near misses of poles and buildings, and yes even a baby, builds the tension. When the subway conductor has a heart attack it’s done tastefully through the cutting, showing a shot of the conductor getting uncomfortable and slowly responding to the heart attack. The Editor gives us a clear destination and clear geographic markings, which allows us to spend less time figuring out where we are and more time enjoying the chase! Close ups of the feet shifting gears and our hero pounding the steering wheel all help to build our tension in this powerfully edited sequence.